If you are tired of paying high prices for storing your boat in the off season, come talk to us. 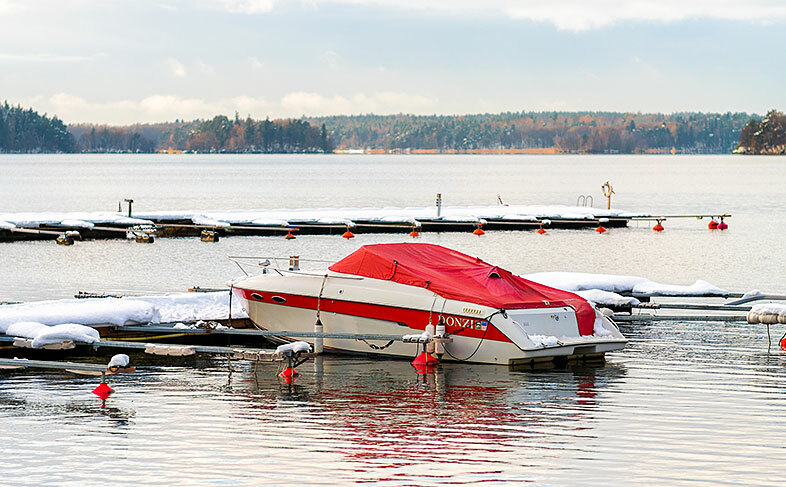 We offer personalized winterization and boat storage services. We are very affordable. Compare us to the local marinas in the area! Our storage facility is safe and secure – conveniently located within 2 ½ miles from the marina and is in close proximity to most of the South Western Maine lakes. We are committed to taking care of your boating needs. And for pontoon boat owners, we can safely transport your boat on and off the lake. Our contract mechanics can also troubleshoot and maintain your watercraft – either in or out of the water on our premises. All storage at Thompson Lake Marina storage facility is totally secured behind chain link fencing with controlled access. Indoor storage is in a secured storage barn and outdoor storage is on an asphalt parking lot area. All water pickups and launches must be at public launches with all fees paid for by owner of the boat. We can use your trailer or our trailer. Prior arrangements must be made at least one (1) week in advance. Additional charges may apply based upon distance and location.